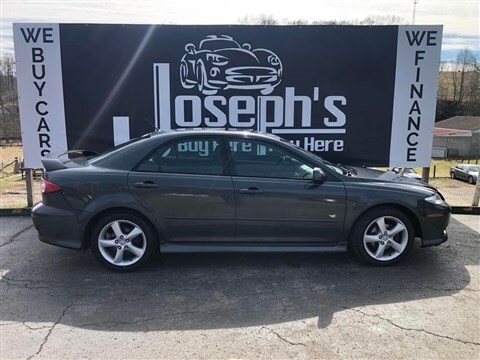 Joseph's is a family owned and operated used car dealership where it is our goal to provide our customers with quality pre-owned vehicles at the lowest possible prices without compromising quality or customer service. Please browse our inventory and call or stop in with any questions. We offer a wide variety of vehicles including many imports. Unlike many independent dealers all vehicles go through a rigorous inspection process before being offered for sale. If you do not find the vehicle you desire, contact us and we will do our best to come up with what you would like. Come see us at 2400 Maysville Pike in south Zanesville. We will leave you alone and let you browse in peace. No "used-car salesmen" work here. We have no employees paid on commission so you will not be pushed into a vehicle or harassed by our sales staff. We do not play any games with pricing as our down-payments and payments are clearly posted in each vehicle. Thanks for visiting Joseph's online!